then Graduate Sales Trainee (GST) is a job opportunity that is a stepping stone into the world of sales, customers and business. A corporate, professional role with intensive training in selling and customer acquiring skills. A job that does not require outdoor work or travel (“Inside Sales”). A job that is executed from a modern office with advanced customer relationship management tools. The starting point of a promising career that depends more on your talents and skills than on your degree. Can turn "No" to "Yes". * Job Roles are based in Chennai and do not require any travel. ** upon successful completion of training and probation. *** CTC includes performance incentives. GREedge.com (www.GREedge.com) is the leading provider of Online Training for GRE with thousands of students across India. The unique method developed by GREedge enables a student to study online anytime, anywhere while still getting the deep, individualized support and attention of a personal trainer. GREedge uses scientific data, advanced technology and analysis to help the student gain a better score. Launched in 2008, GREedge has quickly grown to a leading position and is known for its quality and the high scores of its students. GREedge aspires to be a global, online brand in technology driven education. Valued Epistemics Pvt Ltd, the provider of brand GREedge.com, Online Academy is a Chennai based education technology firm founded and managed by alumni of IIT, IISc, Purdue. The company seeks ambitious, enterprising fresh graduates for various roles in its expanding departments. Selection Process will consist of online tests, two rounds of interviews, evaluation of past achievements and reference checks. Extensive Training & Development is a part of the probation period, which is for 6 months. 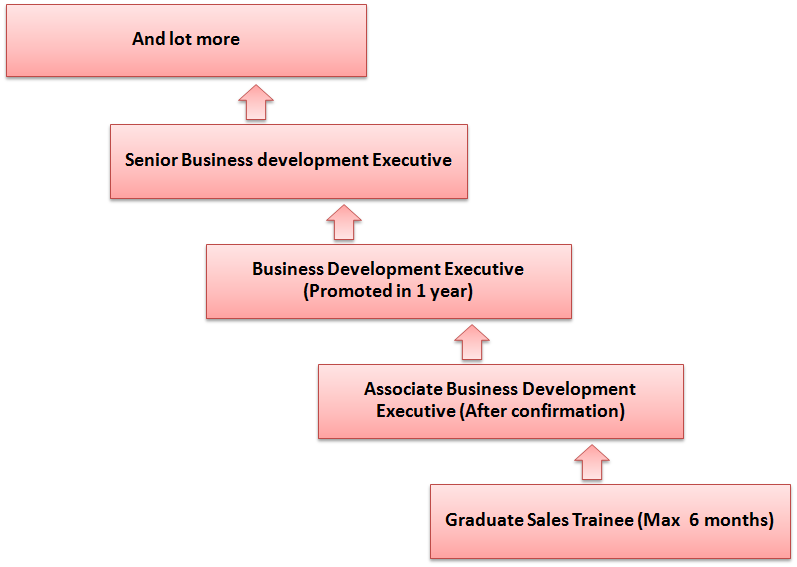 Graduate Sales Trainee role has strong, progressive organizational career growth paths for good performers, a brief part of it is explained below under the head career path.